There are commercial repositories and open source repositories. The commercial repositories charge, usually based on the number of people accessing the repository. Open source repositories can be installed on internal company servers or there are companies that host open source repositories for no or little cost (also typically rated by the number of repository users). I’ve used Subversion (SVN), a centralized version control system, for company and class projects, so this article covers the the hosted version of SVN on Freepository with the Eclipse, Xcode 4, and Intellij IDEA 10 CE IDEs. Freepository has one free plan, where individuals can have a SVN repository for personal use at no cost. They also offer two commercial plans where groups can have SVN or Git repositories. I have found other sites that have good repositories with the same type of arrangements (free and billable setups), but I like how easy it is to setup and use SVN at Freepository and would encourage students that want to learn about code repositories to check them out. To get setup with Freepository, go to their website (https://freepository.com/index.php), register, and you are ready to configure your IDE so it can access your repository. Its pretty simple and straight-forward, so I won’t go into the setup at this time. There are a lot of IDEs, so I’m focusing on Eclipse and Xcode for this article. Launch Eclipse, then select ‘Check for Updates’. Some may be available since the last time your copy of the software was built, so get the updates before installing add-ons. Restart Eclipse if any updates were done. Select ‘Help/Install New Software’ from the Eclipse menu. At the Install screen, beside ‘Work With’, select ‘Galileo – http://download.eclipse.org/releases/galileo&#8217;. Scroll down to ‘Collaboration’ and expand that section. Select ‘Subversion SVN Team Provider (Incubation)’, then press the ‘Next’ button at the bottom of the Install screen. Verify this is the correct file and press the ‘Finish’ button at the bottom of the screen. After the add-in is installed, restart Eclipse. Now it is time to install the Subversion Connector. Select ‘SVNKit 1.3.0 Implementation (Optional), and restart Eclipse after the connector is installed. Now switch to the Eclipse ‘SVN Repository Exploring’ perspective. Select ‘New repository location’ at the top/left area of Eclipse. Enter the repository information (your company’s own or the one from the Freepository in the previous section of this document) in the field beside URL in ‘New Repository Location’ popup. You also need to enter your user name and password at this time to avoid being asked for it whenever you try to access Freepository. I also prefer to select ‘Save Password’ so it is not necessary to re-enter it each time I access the repository. Now select the ‘Finish’ button. 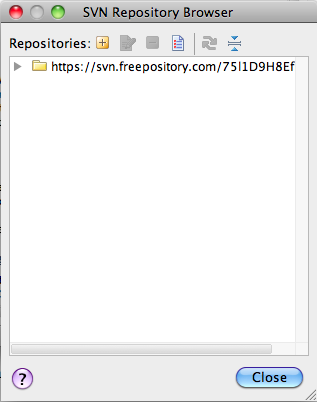 After the repository is added, you can select it in the ‘SVN Repositories’ window (typically at the far left side of the Eclipse ‘SVN Repository Exploring perspective). Please note Eclipse supports multiple SVN repositories, and it is common to have multiple SVN sites for personal, work, and school projects. All in all SVN works well with Eclipse. Xcode 3 is shipped with most Macs and is available free to developers that join the Mac/iOS Developer Program, or for $4.99 from the Apple App store. Compared to Eclipse, Xcode 4 is very easy to setup for SVN. 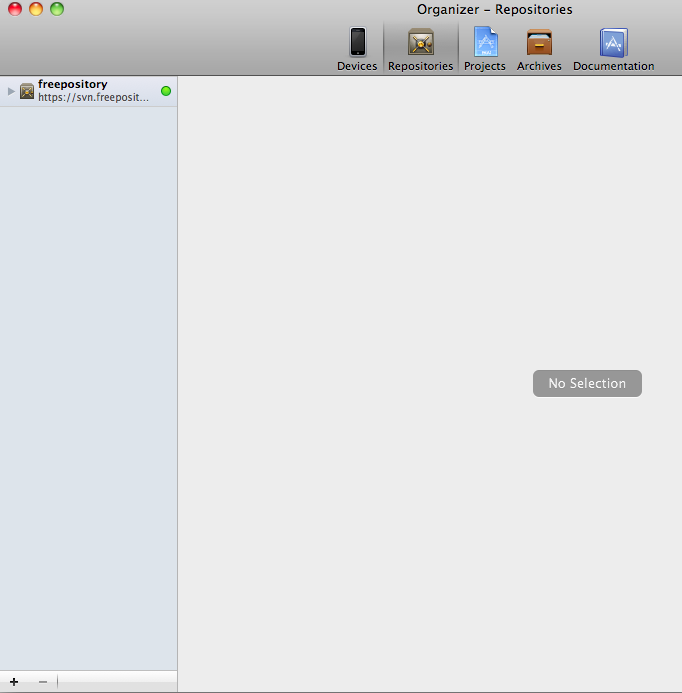 Select ‘Repositories’ at the top of the Xcode Organizer. Select the ‘+’ sign at the bottom left of the Xcode Organizer, then select ‘Add Repository’. Enter the name and location, then press the ‘Next’ button to finish setting up the repository. You can leave the Trunk, Branches, and Tags as is for Freepository, then press the ‘Add’ button to complete setup. 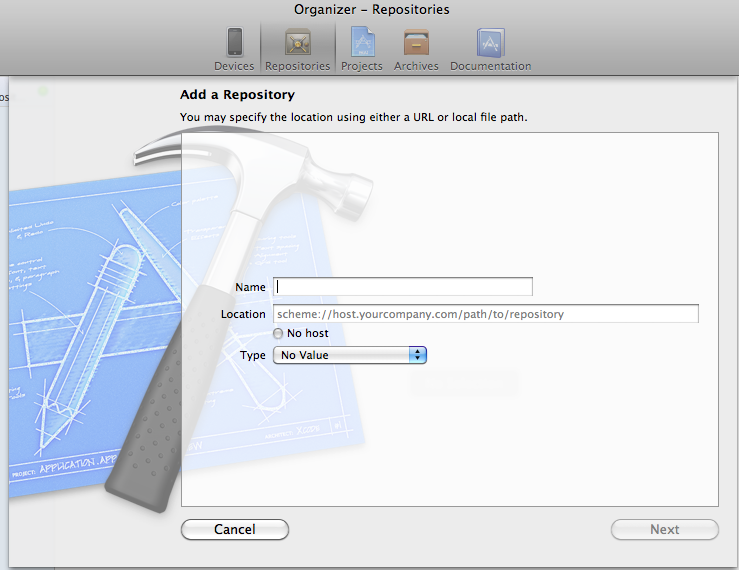 Select ‘Repositories; at the top of the Xcode Organizer screen to see the new repository. Not a lot to do to get yourself setup for using a code repository, which is something most new developers learn when starting their first job as a programmer. Probably the easiest of these three IDEs to configure to access a remote SVN repository. All you need to do is connect to the repository. 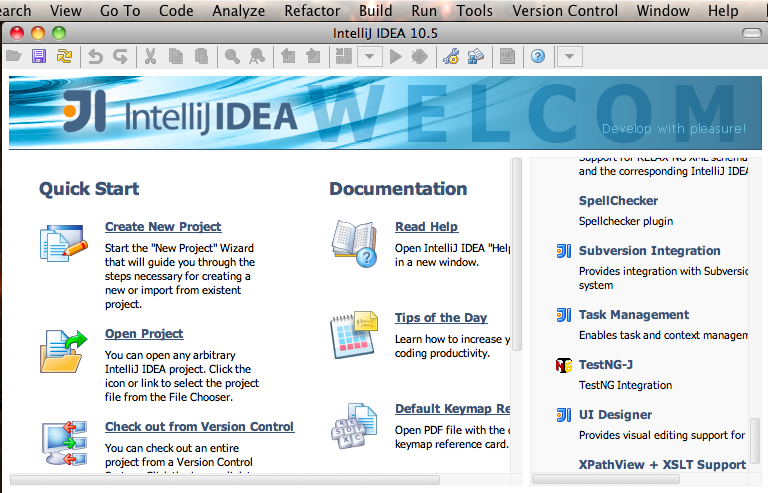 Select ‘Version Control/Browse VCS Repository/Browse Subversion Repository’ from the IDE menu. 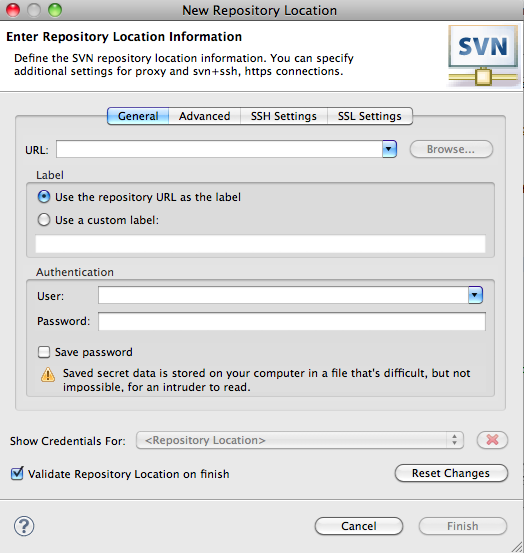 To add a new SVN repository, select the ‘+’ beside ‘Repositories:’ at the top of this popup screen, or select the repository from the list in the popup to access an existing repository. To see the projects in each repository, expand the appropriate repository folder.